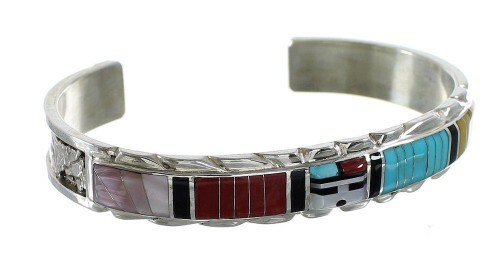 Sterling silver, real Turquoise, Coral, Jet, Pink Shell, along with Yellow and White Mother of Pearl. 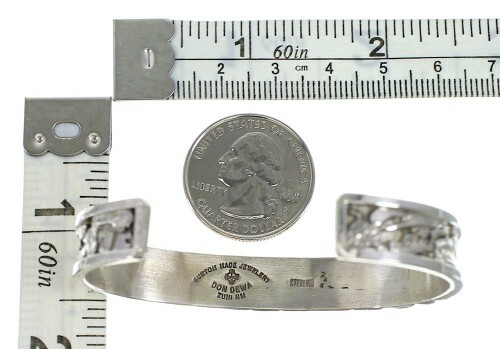 The inner bracelet circumference measures approximately 5-1/4", plus a 1" opening, and 3/8" at widest point. 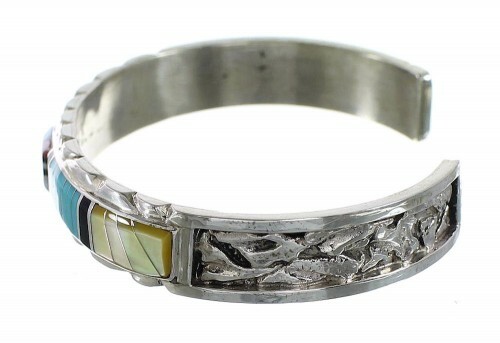 You will absolutely fall in love with this stunning bracelet! 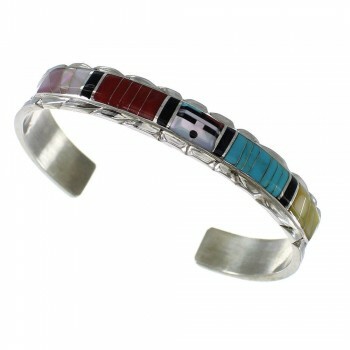 This piece of Native American jewelry is Zuni hand crafted by artist Don Dewa, out of genuine sterling silver and real Multicolor Inlay. 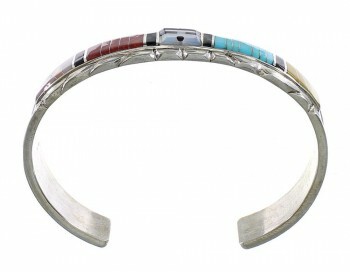 The inlay consists of: Turquoise, Coral, Jet, Pink Shell, along with Yellow and White Mother of Pearl. 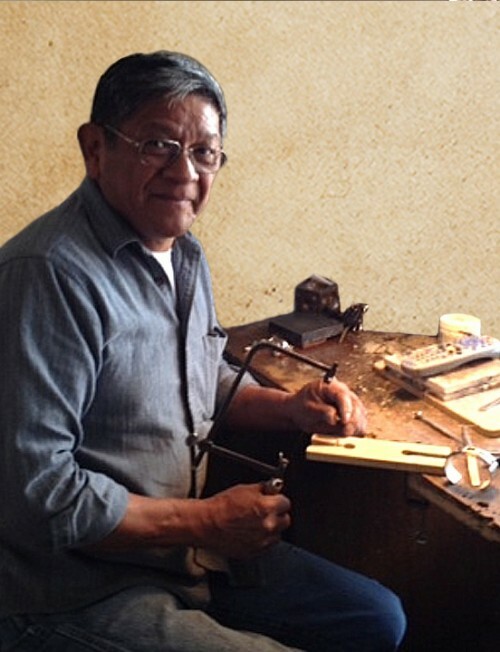 The inlay is carefully set, creating a stunning Sunface design. While hand cut silver work can be seen accenting for a marvelous look. The Sunface represents warmth, shelter for the old, a bright future, and playfulness for the young. The bracelet is stamped zuni, sterling, and hallmarked by artist.